For this week, I really wanted to lighten up the mood and lower the angst and make this an episode to vibe with. I thought to myself, what is something that can heal every single person and doesn't require a prescription nor is a standard II controlled substance? And then I remembered: Comedy. There is nothing better to do than talk about comedy, so I dive right into it. Storytime is gross, raunchy, and funny to those who may find it to be. The story revolves around me having certain ... See More kinds of stomach issues while being on a date, and how I handled it. The rest is up for your ears, my dear listeners! 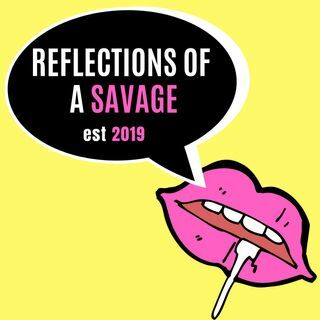 The next part is the newest segment that I will be including in my podcast, and I finally found a title for it: What Would a Savage Do? This is going to be another typical advice column, but coming from your favorite savage! So, listeners will send me questions asking for advice, and I will give it each episode, whether it's one or two per week. This is a segment that I'm really stoked to include because I felt that I wanted a better way to communicate with you guys beyond ranting and twitter. This week's advice column includes a gassy girlfriend needing to fart and a cheated boyfriend looking to confront his pig boyfriend. The Super Savage Award this week is dedicated to Joan Rivers because if I'm talking comedy, I need to talk the legends. After giving a brief overview of Joan's life and why she deserves the award, the episode then leans into the topic of comedy. Comedy is a healing mechanism that has been scientifically proven to better your emotions. For that reason, I call comedy the Xanax that doesn't require a prescription. Enjoy!